We can repair LEMO, opticalCON, Canare, Sony, Ikegami, Panasonic, Hitachi & More! Cables need not be originally purchased from us. The cost is very economical in relation to the original cost of your cables - especially long length cables! Send us your expensive cables today and let us renew them for you! 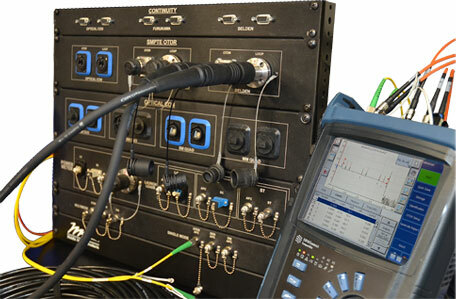 Advanced computerized test system scans cable to check and report wiring information. Analytical testing as well as supplied information from customer is used to determine wiring specifications based on various manufacturers. We use TDR equipment to determine faults that occur within the cable, broken center conductors on coaxial components, shorted conductors within the cable. Exact locations of faults are determined. Once cables are serviced, they undergo a second set of advanced computer diagnostic tests that show any open circuits, short circuits or intermittent circuit connections. This final test confirms your repaired cables are back to original manufacturer's specifications.